It’s heading into Summer down here in Australia, meaning hot and humid weather is just around the corner. 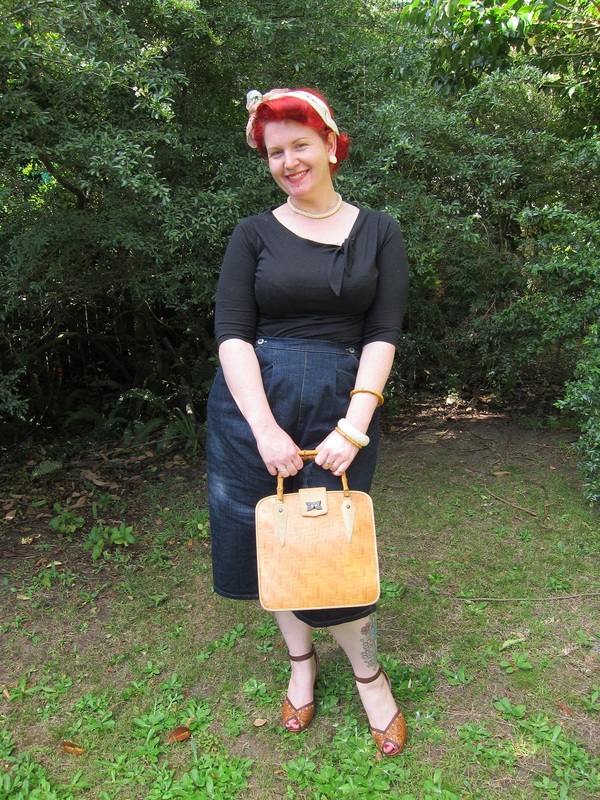 My mission to have a fully wearable Vintage Wardrobe means I have plenty of summer skirts – but a serious lack of shorts/capris! The perfect solution is clamdiggers! Dressy enough to wear to lunch out with friends, casual enough to wear in the garden. The pattern was Advance 5008 (c. 1950), View 2. This pattern was really, really easy to put together, and fit pretty much perfectly with minimal modifications for my big behind. 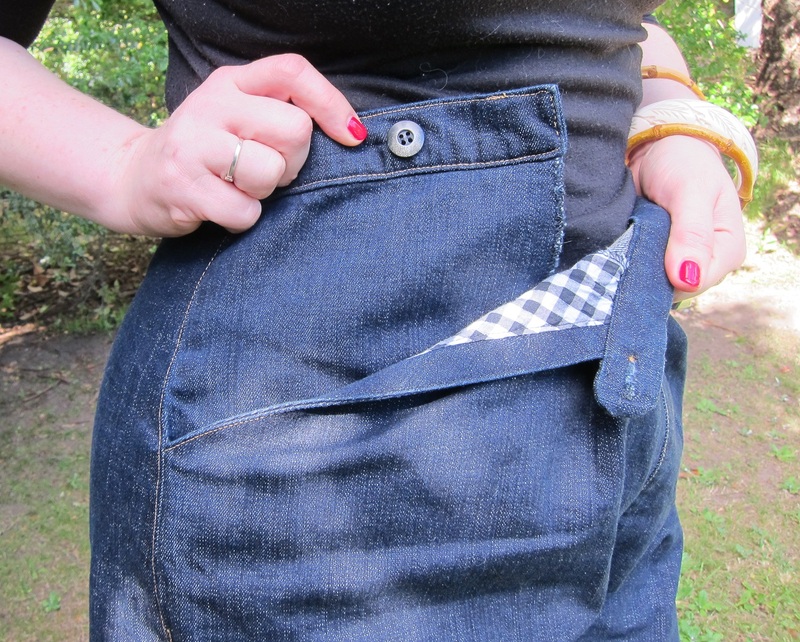 And my favourite feature – no zips! The double button tab is the closure! I chose black and white gingham for a nice contrast. To look a bit more professional, I top-stitched all the seams in ochre coloured thread like store-bought denim and the side seams were placed against the selvedge of the fabric so they’d look fancy if the cuffs are folded up. (The indigo denim is from Spotlight). The Hollywood Sew Episode 1 “A Downton Dress” is here! That button tab closure is really interesting. I really should try a pattern with that feature myself. Thanks for the inspiration. Oh, I love them, you have done such a nice job. I also love the button closure, what a good idea. 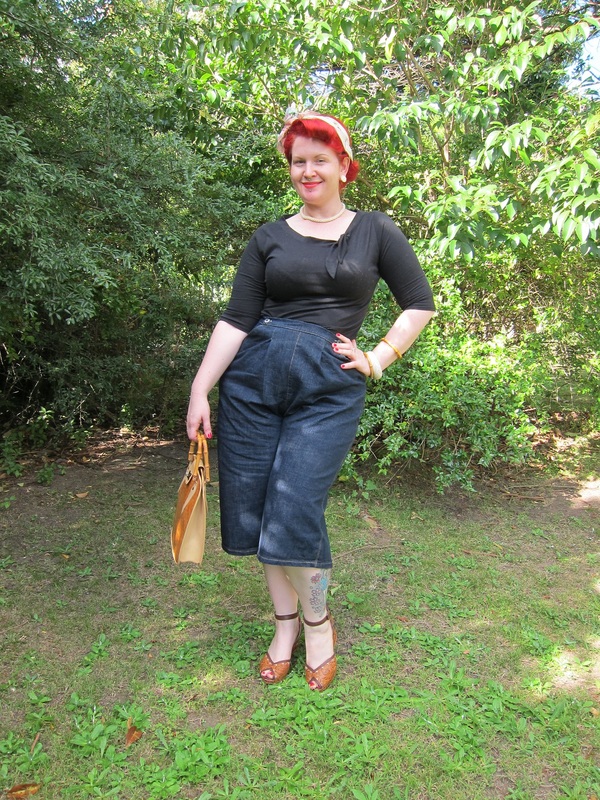 I have been thinking of making some denim capri pants for summer, so this is inspiring me too, thanks! Awesome!! I love that these have the button flap front and they look great; Good Job!! These are fabulous! I can’t believe you sewed them yourself! And yet I can, because nothing so cute is available in stores. Good job, you! You are adorable in this! i LOVE everything about these pants! 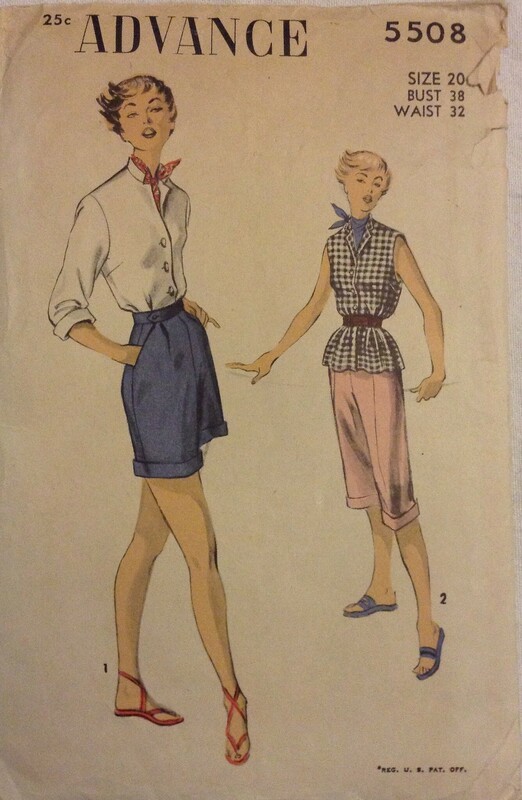 Im going to be on the hunt for this pattern at all the local thrift, junk, and vintage shops in Omaha.